Mobile app today covers most of our daily duties like paying bills, fetching groceries, ordering food, catering to medical needs, booking entertainments, and a lot more. Magento Mobile App suit all purposes immersively. It also offers prime opportunities to grow business in the specialized areas which you might have missed otherwise. The business can avail Magento mobile services from well recognized Magento Mobile App Development Company and immensely reap the benefits of larger customer and greater sales. let us have a quick look at the Magento-mobile app feature and benefits below. Support for a wide range of mobile hardware devices – iPad, iPhone, Androids etc. Benefit from m-commerce marketing features like the scanner, barcode, integrated mobile coupons and push messages. One of the main challenge faced by any business is fetching the new customer and retaining the old customer. This can be achieved by reducing the effort of the customer searching for their desired product or service. Developing a mobile eCommerce app will incredibly add convenience to shopping. Mobile eCommerce apps support quick payment and quicker checkout processes. This makes shopping user-friendly and very engaging to customers. The average person checks their mobile phone 150 times a day and spends nearly 85% of their mobile time on apps. This means the shopping app of the particular brand present in the mobile will higher chances of making sales. The mobile app is convenient to check out for the new product and purchases a new product online. Magento custom module development support business to perform numerous important tasks like sending important notifications or messages by using the mobile app as the medium. A business grows and becomes even better only when there is great communication in between the customers and organization and this can be achieved through Magento mobile app. Magento mobile apps support extensive promotional and marketing activities as well. Sending personalized notifications about the latest offers, deals, discounts, coupons, and codes etc on their favorite products could be a great delight for the customers and great marketing strategy for a business. Magento mobile apps incredibly help to promote product or services in the better way. Magneto Mobile apps are best means to provide customers with convenient and easy ways of interacting with the business. The customers will usually remember their user experiences with the store. If the company provides good user experience at the mobile store, then they will definitely return back. Hence developing Magento Mobile apps will enrich the user experience and encourages customers to return. Magento is compatible with all platforms. Integrating existing store or designing new store to a Magento mobile platform can help achieve greater success in online business. 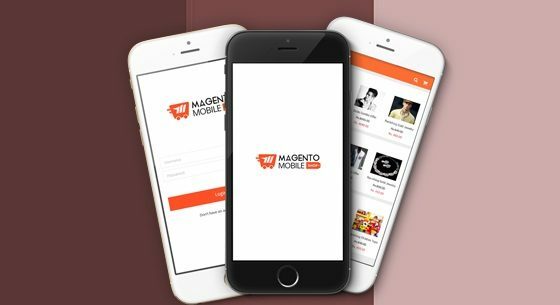 Genuine Magento Mobile App Development services can uplifts the business status by providing best solutions for an eCommerce store.